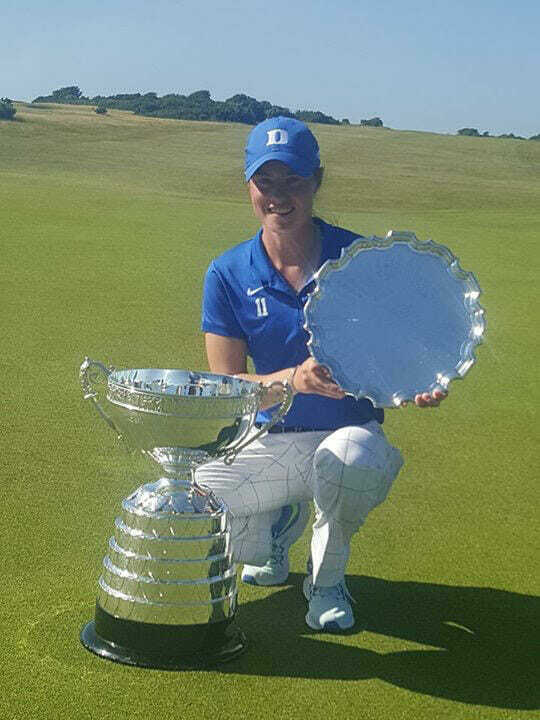 In the current issue of Irish Golfer Magazine, front cover star Leona Maguire spoke to IGM about her life at Duke University, her recent British Amateur victory and of course what lies ahead for 2018 as she looks to turn pro. It feels like I’ve known Leona Maguire for a lifetime. One half of the prodigious golfing twins from Cavan, I first heard of the girls when sister Lisa won the Tiger Woods endorsed Young Masters Golf Junior Series at La Manga in 2005, where a certain Leona finished second. They were just ten at the time. So often packaged as the perfect pair in the media, I soon realised why as Leona answered most questions with “we” rather than “I” despite my focus firmly on her. Seemingly inseparable from birth, I shudder to think what would’ve happened if the sisters were split when college called. Scholarship offers from the top universities in America are like gold dust at the best of times, but what’s rarer is the Maguire’s potential. 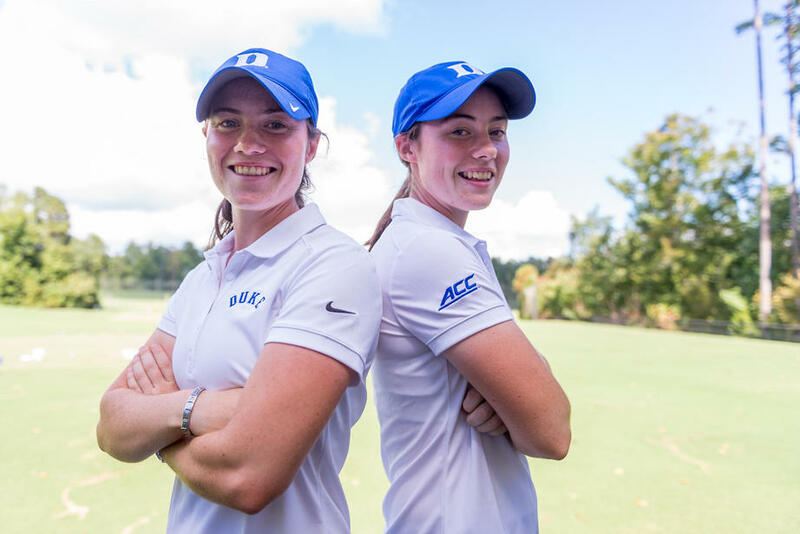 Both sisters were accepted to Duke University, making the trip from Cavan to North Carolina a much less daunting one than first imagined. There has always been a certain aura attached to the US college system, but where I hinted at frat parties and untold temptation, Leona pointed to superior facilities and kind winter weather as significant factors in her choosing Duke. But what specifically attracts our top golfers to chase the American Dream when the likes of Maynooth offer an Irish alternative? Even with Lisa by her side however, a slight culture shock wasn’t to be avoided and it was the team based aspects of Duke that proved the biggest adjustment. 5.30am starts to go work out with the team were followed by group practice, regular classes and team playing sessions. She admits that “it’s not something you could’ve really prepared yourself for in Ireland”, but is quick to credit the ILGU in so many other ways. She’s so calculated in her answers that it’s easy to forget she’s only 22. But with such talent comes great responsibility if you decide to pursue it. Still, has there ever been days where the gift felt like a burden? Spectacularly grounded, she credits her parents, Declan and Breda, with having “done a pretty good job” at keeping her so. But outside their tutelage, how does that attitude translate to the college campus at Duke? She’s the World’s Number One Amateur Golfer and the WGCA’s collegiate player of the year for a second time, having never finished worse than sixth all season I might add. She could be excused for getting her head caught in the odd cloud formation. 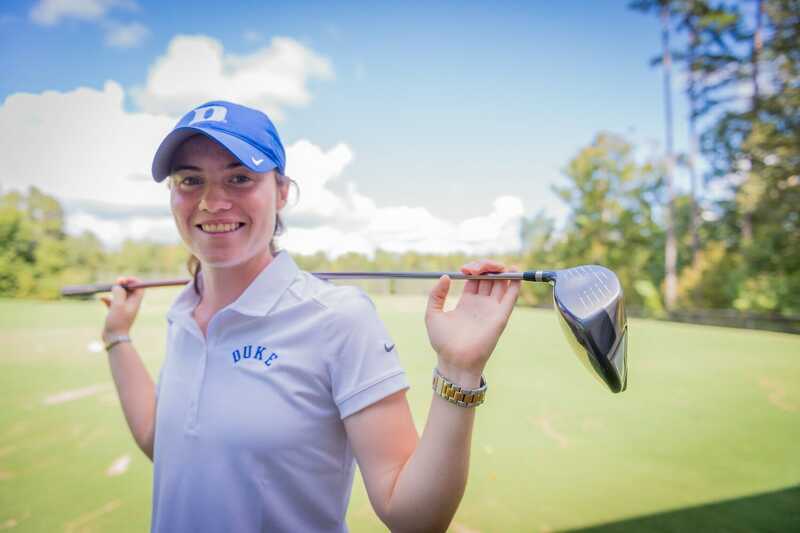 It’s a mindset embodied by her commitment to her studies and it should come as no surprise with her parents both teachers that her Psychology, Business and Accounting Degree gets as much attention as her golf game. Having a backup plan seems sensible when you’re attempting to break into one of the world’s most competitive industries, but there was a time when Leona was considering a premature leap of fate. It was an outside pressure, possibly conceived by those wanting to cash in on her talent early, but it was never something she seemed comfortable handling. When she does eventually move to the paid ranks, Leona will be no average rookie, having been exposed to many main tour events already in her career. She confesses that those experiences haven’t always gone to plan, but places huge value on what she’s learned from each venture into elite company. Experiences won’t come much tougher than her appearance in July’s US Women’s Open at Trump National, where Maguire missed the cut after a rain battered second round in New Jersey. One man who did have the opportunity to hide but instead chose the spotlight was ‘The Donald’ himself, though Leona was diplomatic in her opinion of the divisive President’s role at the event. The whole experience has only whetted her appetite for similar opportunities and August’s Ladies British Open will be her next big chance to make a global impression. Maguire famously won the British Amateur Championship back in June, the significance of which is only just starting to hit home since her return to Cavan. With Leona’s capabilities we should never be surprised. Maguire’s taking a realistic view when it comes to managing expectations for her upcoming rookie year on Tour. When she does take that step into professional company, she’ll have done so having conquered the amateur game on both sides of the pond. Her destiny is to become Ireland’s leading lady on the LPGA Tour, and about the only fear I could muster in caution was her losing her accent along the way. To read the full magazine digitally free of charge click here.